November 30th, 2016 - Since his death in 1977 at the age of sixty, Robert Lowell has remained a major presence in our literature, and to mark the anniversary, the Center hosted a distinguished assemblage of writers gathered on the campus of New York University to honor his life and work. November 15th, 2016 - Historian, author, artist, and biographer Nell Painter spoke on the iconic and elusive figure of Sojourner Truth, exploring both her lived life and her symbolic impact. 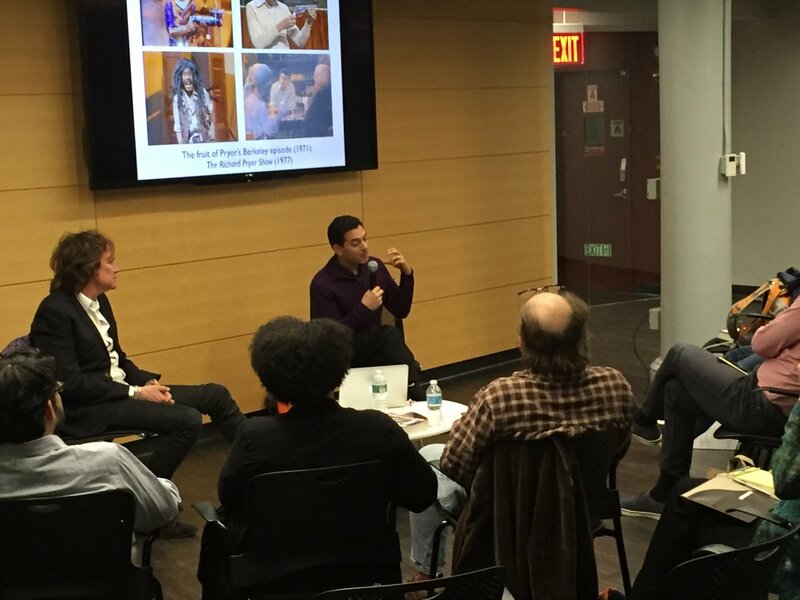 November 2016 - The Center hosted Scott Saul as he dove into the life of Richard Pryor, to an engaged audience. October 25th, 2016 - The Biographers of Carter, Reagan, Clinton and Obama on the Election of 2016: A panel discussion moderated by CBS News’s Lesley Stahl, with Jonathan Alter, Jacob Weisberg, David Maraniss, and David Remnick on the making of modern America presidents. April 27th, 2016 - The Center collaborated with the PEN World Voices Festival to bring NYU and the public a fascinating exchange between acclaimed author Salman Rushdie and writer Lila Azam Zanganeh. Rushdie gave an enlivening and inspiring description of his formative years, the breadth of his literary influences, and his cross-cultural interests. April 4th, 2016 - The Center hosted an evening with Charles B. Strozier, psychoanalyst, CUNY Professor of history, and author of the book Your Friend Forever, A. Lincoln: The Enduring Friendship of Abraham Lincoln and Joshua Speed. During the discussion, Strozier illuminated Lincoln’s inner life, focusing on his periods of depression and his closest relationships. March 31st, 2016 - A collaboration between the Center and PEN America, The Center collaborated with PEN America as part of a month-long celebration of the 50th anniversary of Albert Camus’s only visit to the United States. Elizabeth Hawes, author of Camus, a Romance, gave a stirring lecture on the impact of Camus on his readers and the role he has played in her own life. November 17th, 2015 - Anne C. Heller, author of Hannah Arendt: A Life in Dark Times, spoke about Arendt’s place in history as one of the most important thinkers of the 20th century. Heller discussed the way Arendt ennobled public life as the antidote to the perils of romantic rootlessness and loneliness. October 6th, 2015 - The co-author of two books detailing aspects of JFK’s career, and an editor of his famous tapes, Tim Naftali is compled a biography for Norton that looks at the entire presidency in light of newly available documents, oral histories and tapes. Naftali finds a Kennedy who is more pragmatic and political than his inner circle acknowledged and more skeptical of the Cold War and American power than revisionist critics ever realized. And, as Naftali also discovered, JFK’s elusiveness was not accidental. April 21st, 2015 - Author Roxana Robinson explores the life of artist Georgia O'Keeffe. "O'Keeffe is a model for women everywhere," says Robinson. "She showed that a woman could paint what she saw and what she felt, and lead a life that was productive and fulfilling, the life we want."